With The Last Hotel, the winning project in the Best Large Sponsorship category at the Allianz Business to Arts Awards, an entirely new approach was devised which led to the creation of a bespoke version of an opera for television. 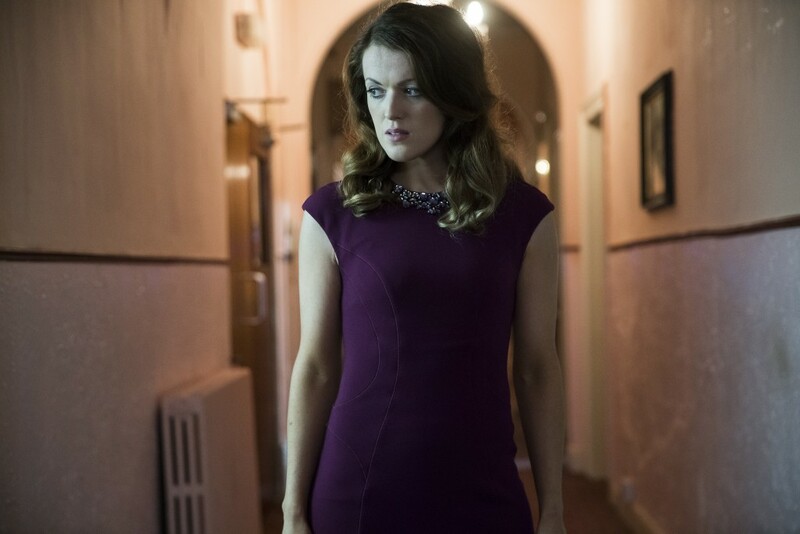 This collaboration between Sky Arts/Sky Ireland, Brink Films, Landmark Productions and Wide Open Opera (WOO) has helped to introduce contemporary Irish opera to a significant audience on both sides of the Irish Sea. Last year, Landmark Productions and WOO premiered the opera The Last Hotel at the Edinburgh International Festival and after that it was performed at the Dublin Theatre Festival, Royal Opera House, London and St Ann’s Warehouse, New York. Written and directed by Enda Walsh and composed by Donnacha Dennehy, it focuses on the themes of life, death, duty and guilt in a dystopian world. Walsh is a writer who is constantly pushing the form of live performance. For example, his recent play Arlington [a love story], which was produced by Landmark Productions and Galway International Arts Festival, merged theatre, dance and video. He has considerable experience in film, both writing (such as his award-winning screenplay for Hunger) and editing (he trained as a film editor before becoming a writer) and wrote and directed the film as well as the stage version of The Last Hotel. “There were Hitchcockian elements to the story of The Last Hotel and the characters were crying out to be expressed through film,” explains Juliette Bonass, director and producer of Brink Films. Landmark Productions and Wide Open Opera submitted an application to Sky Arts Amplify to create a film of the piece and Brink Films subsequently came on board. This Sky Arts scheme seeks to offer ways for arts organisations and production companies to pitch collaboratively for up to €1.35m annually on new TV ideas. The Last Hotel got the green light from Sky Arts director Phil Edgar-Jones in August 2015. What resulted was a merging of the worlds of opera, theatre and film with a quality production that pushed creative boundaries and featured on-location filming at the Bray Head Hotel in Co Wicklow. “We look for artistic projects we believe can demonstrate our commitment to the arts and see The Last Hotel as an important part of our broader investment in Ireland. The Sky Arts team felt it was truly original, combining a magnificent playwright and a powerful storyline. To be able to work with such talent was a fantastic opportunity that we were not going to pass up,” says Mark Deering, director of corporate affairs at Sky Ireland. Bonass describes the partnership between Sky Arts/Sky Ireland and Brink Films, Landmark Productions and WOO as “immensely rewarding”. “Landmark Productions is a theatre production company, WOO an opera production company and Brink Films a film production company. We shared our particular expertise with each other which was invaluable and a huge learning experience,” she says. “It was a seamless and wonderfully collaborative process. Sky Arts completely trusted our vision for the project and did everything to support and encourage that vision from start to finish. When it came to promoting and distributing the film, Sky Ireland gave it a high profile launch, which generated significant media coverage. The screening itself was attended by many stakeholders from the film, television, theatre and opera worlds.